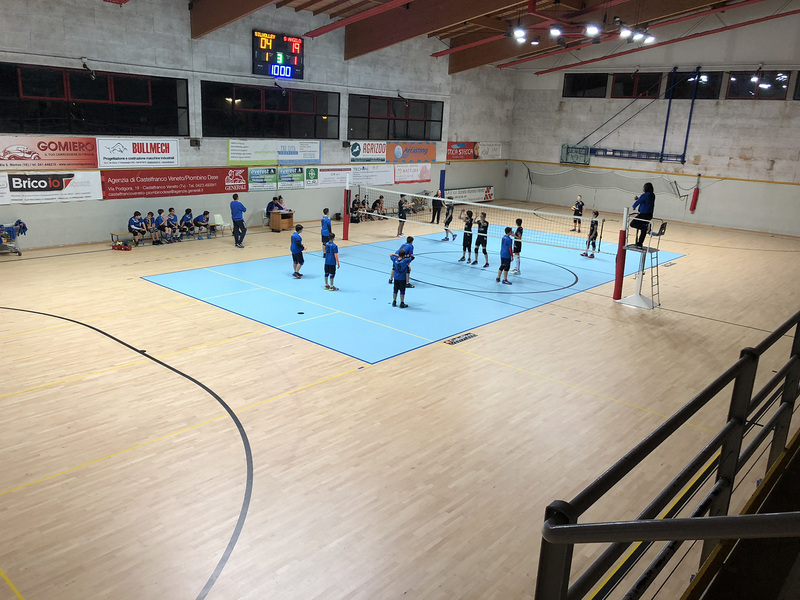 Specific flooring for the volley installed by the internal technicians Dalla Riva in the province of Padua. 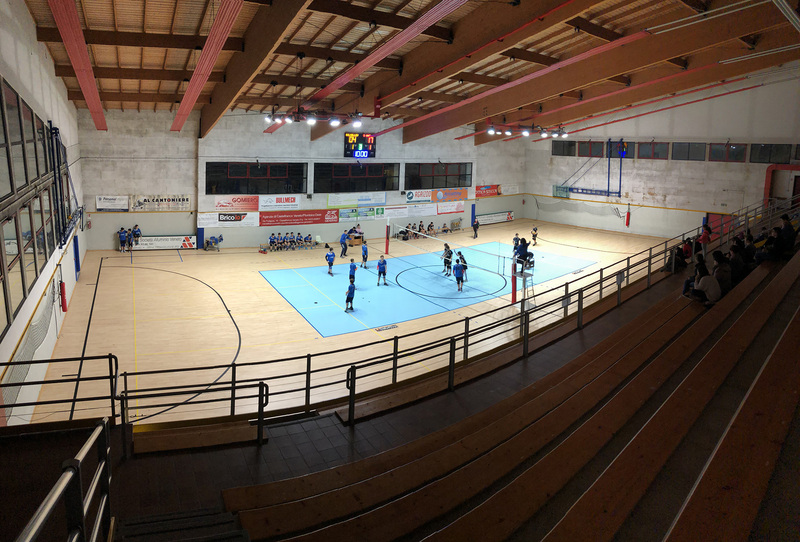 The most striking detail is the color of the entire 162 sq m (the classic 18 x 9 m) play area which highlights the volleyball court. 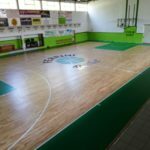 The finishing paint used to protect this particular color complies with the values of the European standard EN 14904 such as slipperiness (109.4 mm), degree of opacity (20 gloss) and resistance to abrasion (11 mg). 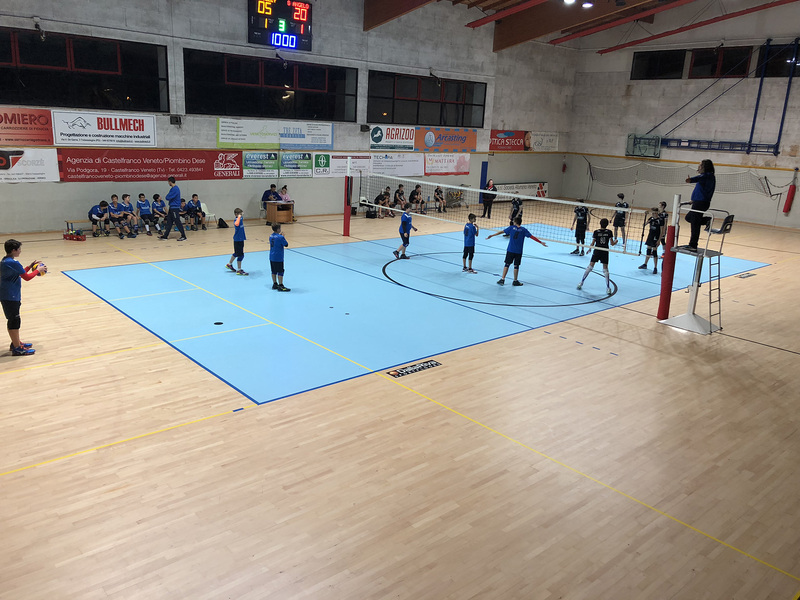 The flooring, approved and certified with European regulations, will be the new field for the men’s volleyball B series. 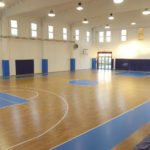 On the sports parquet signed DR two yellow volleyball courts for training have been traced in yellow. 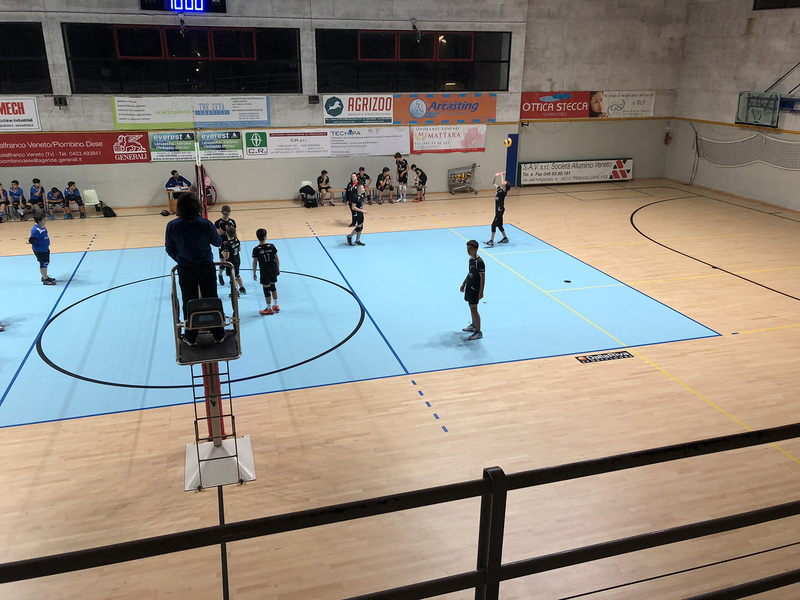 But not just volleyball in the Paduan gym; also the 5-a-side football played by the home team: the field was marked with black markings. 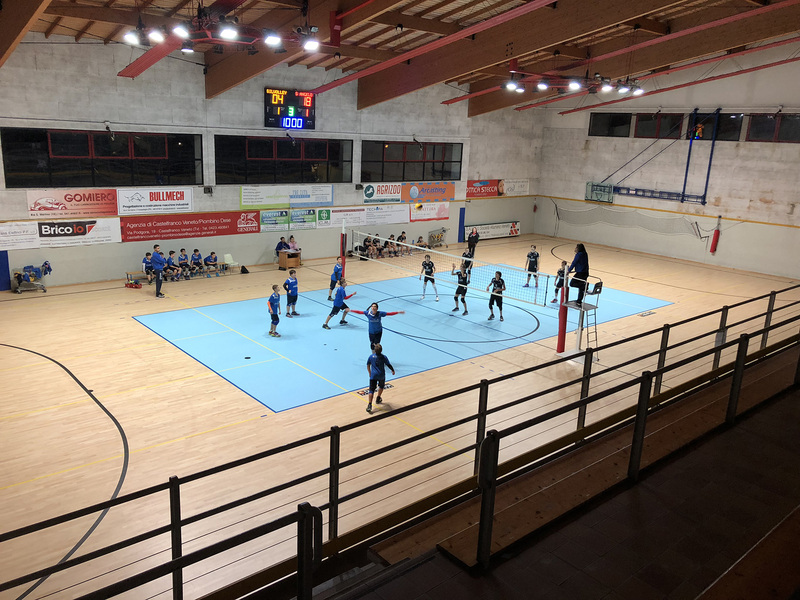 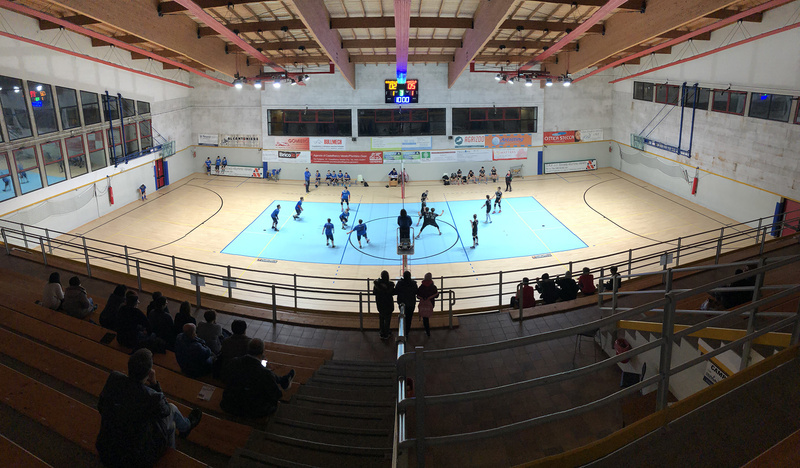 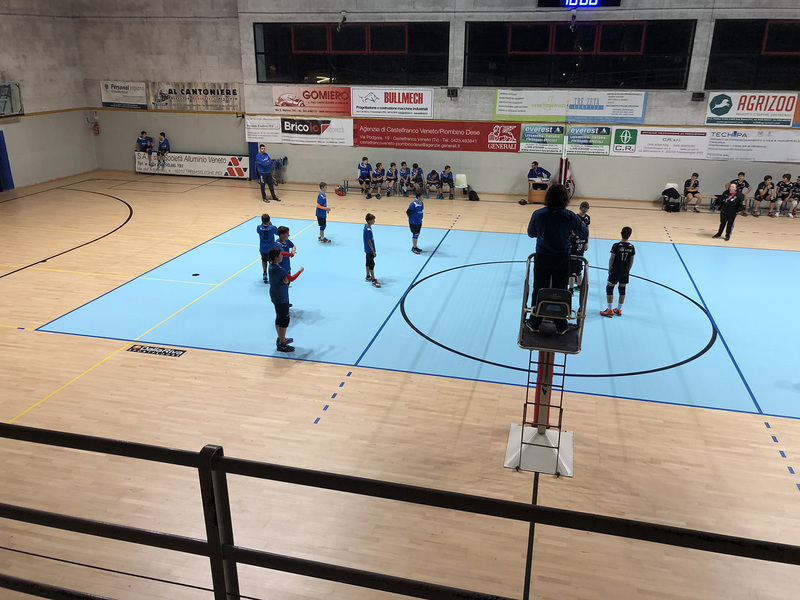 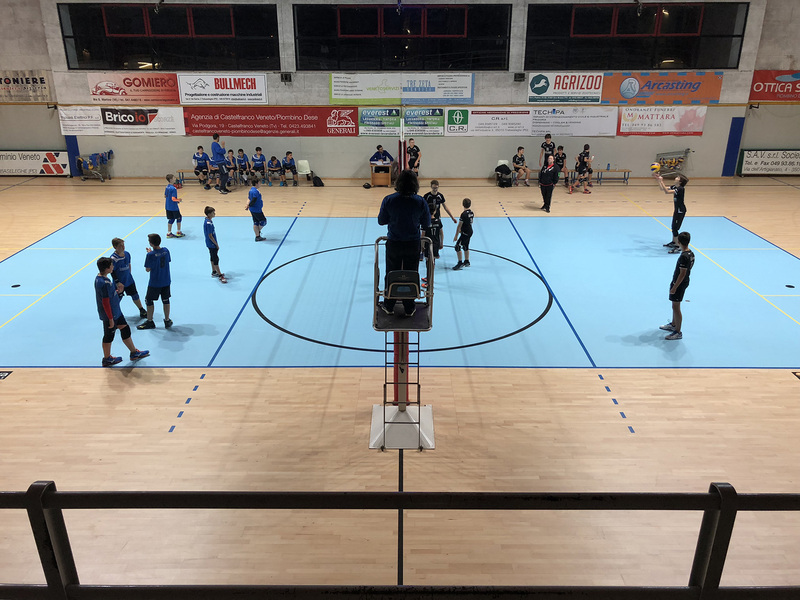 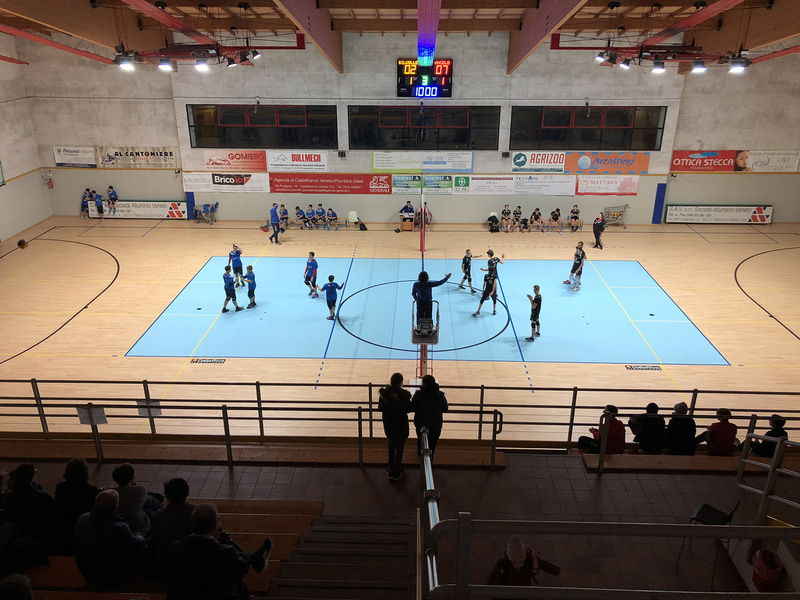 Also in this case, Dalla Riva Sportfloors is able to find a solution for sports clubs: a suitable, and above all elastic, flooring for two highly stressed disciplines.